Q: What is your favorite thing about your body? 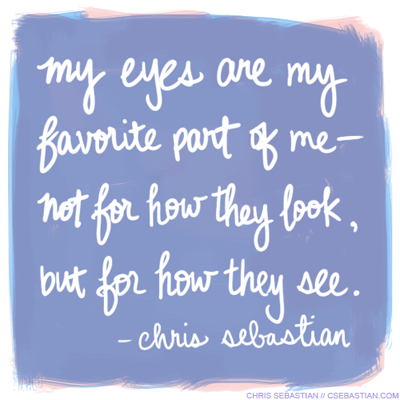 A: My eyes are my favorite part of me— not for how they look, but for how they see. My physical eyes are not perfect. I’ve worn glasses since 2nd grade. But in another sense, how I see things influences my creativity, my imagination, my ability to learn, my taste, my worldview, my relationships with others, everything. And I really like that.